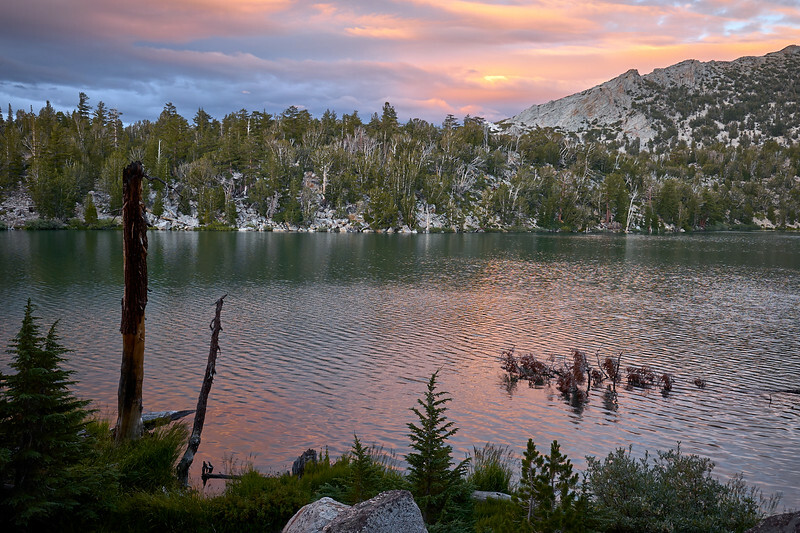 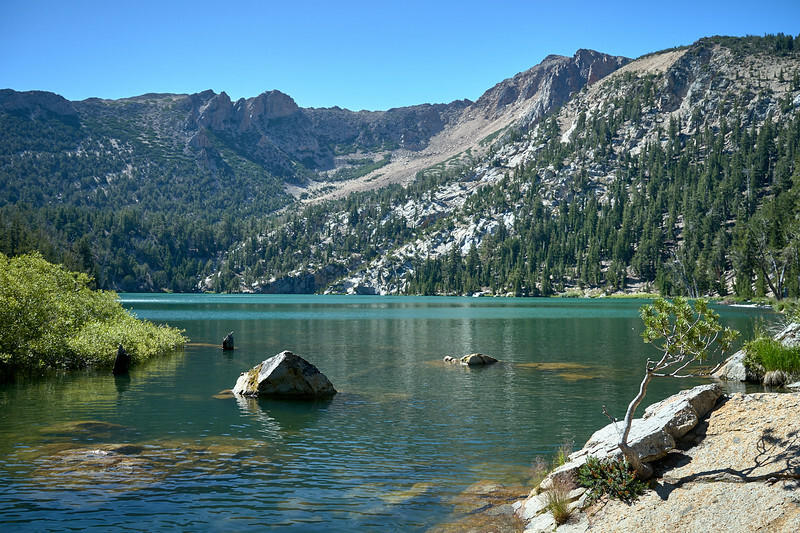 Backpacking to Star Lake with access to Freel Peak, Job's Peak, and Job's Sister. 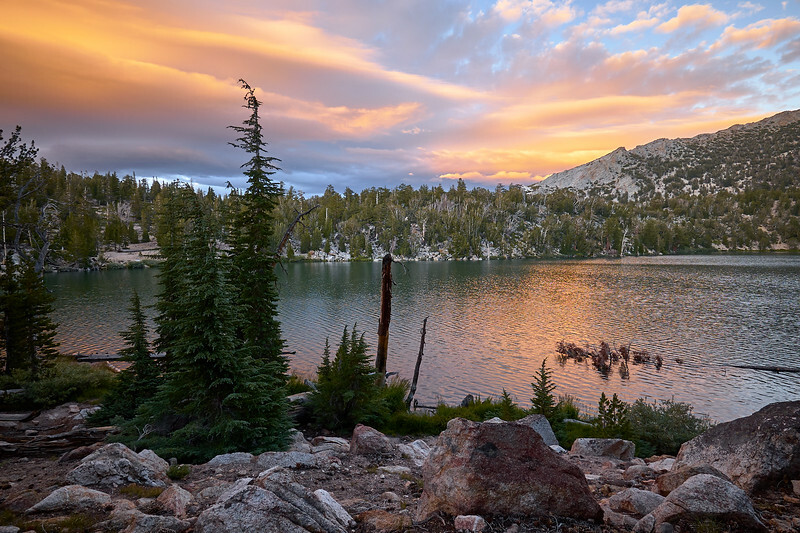 South Lake Tahoe. 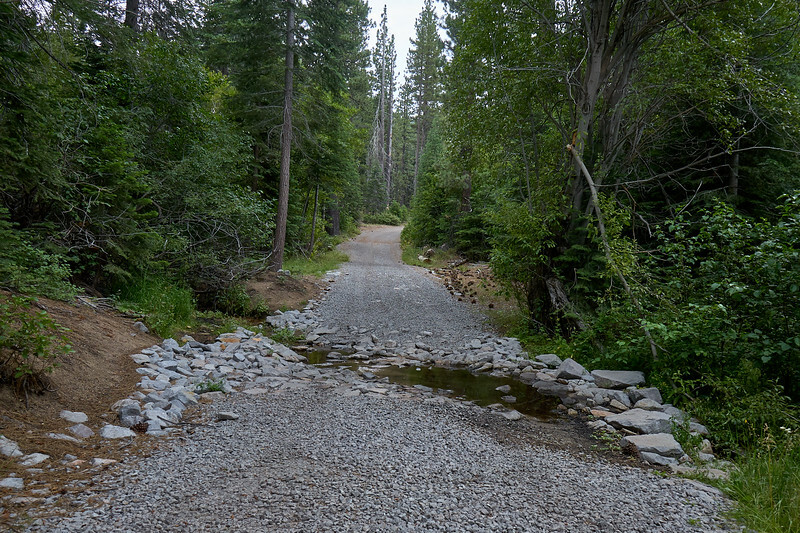 The High Meadow Trail Road at one of the stream crossings. 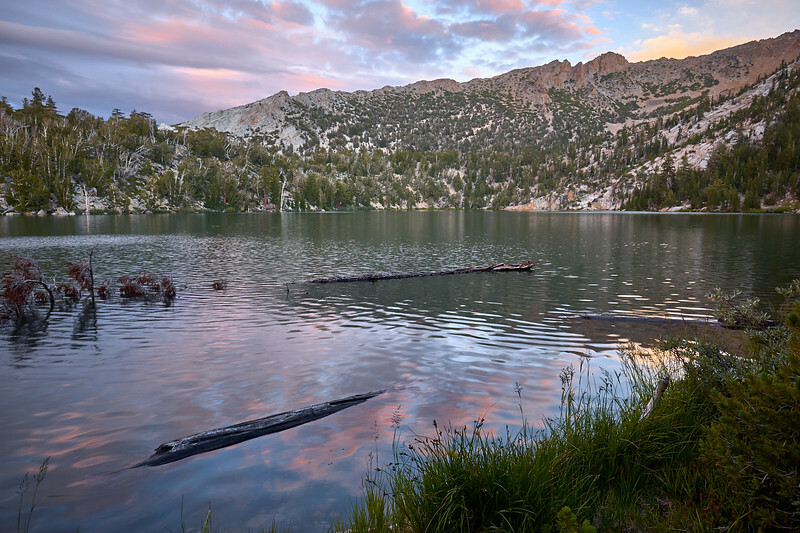 The Star Lake Trail veering right off of the High Meadow Trail. 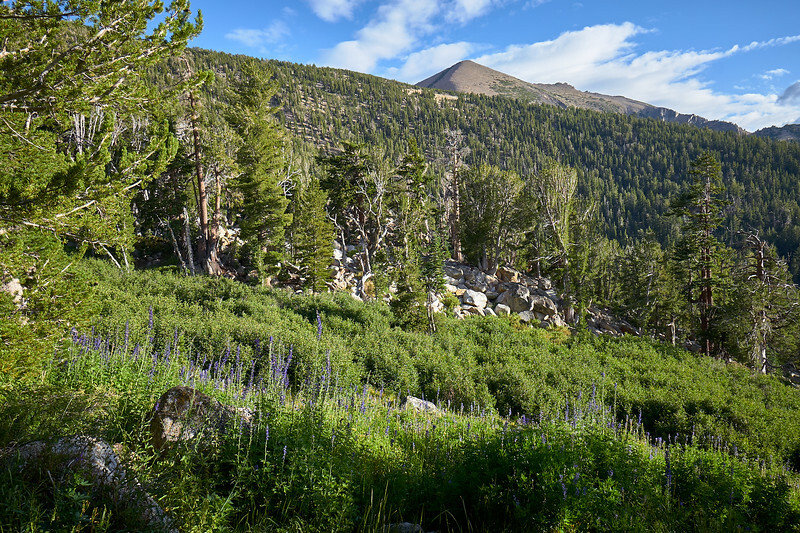 Freel Peak above a meadow of lupine just before reaching Star Lake. 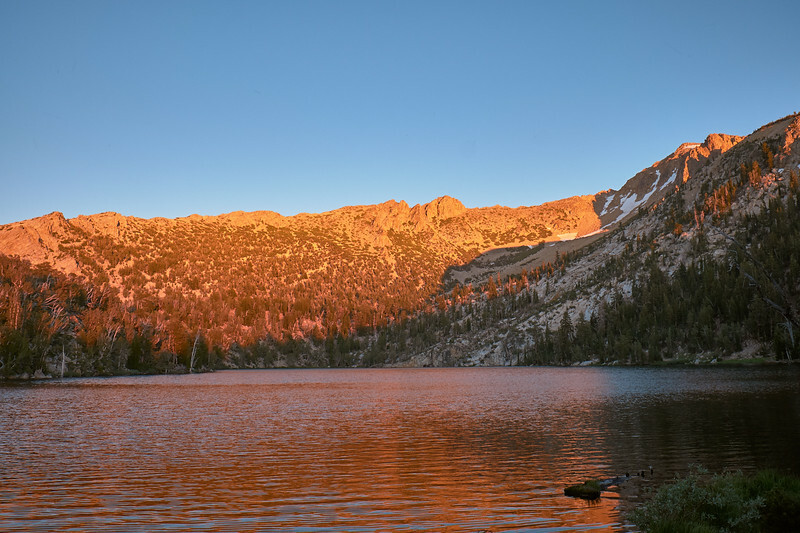 Sunset reflecting in Star Lake. 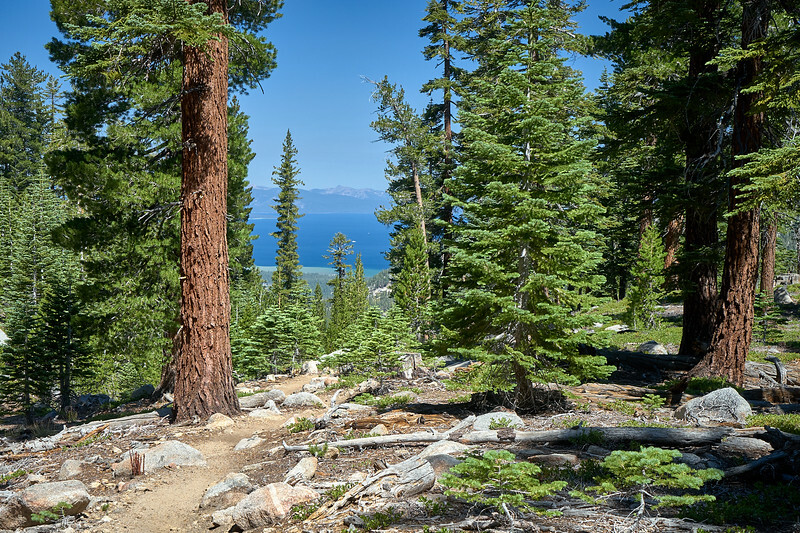 After departing Star Lake on the Tahoe Rim Trail, with peeking views of Lake Tahoe. 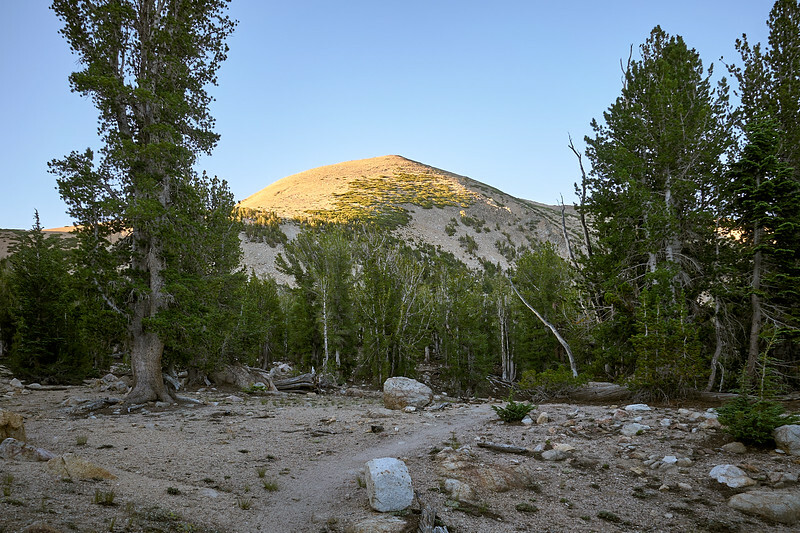 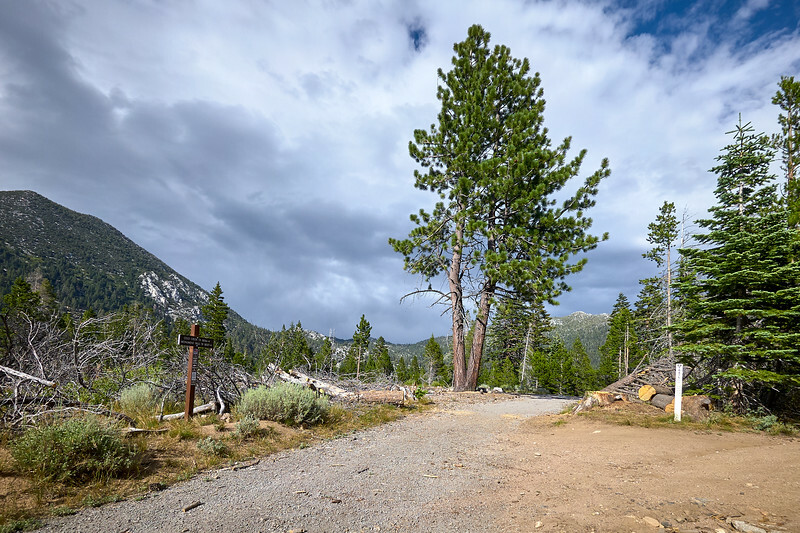 Sunlight hitting Freel Peak, walking along the Tahoe Rim Trail. 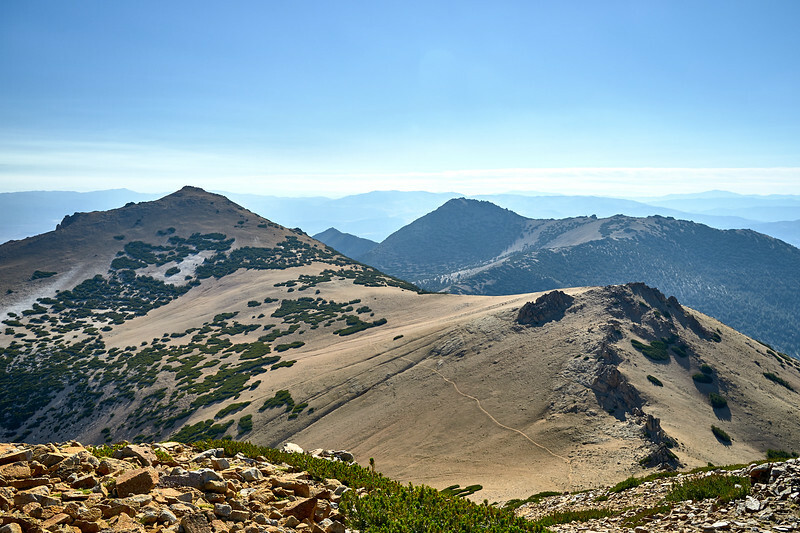 Job's Peak (background) and Job's Sister (foreground). 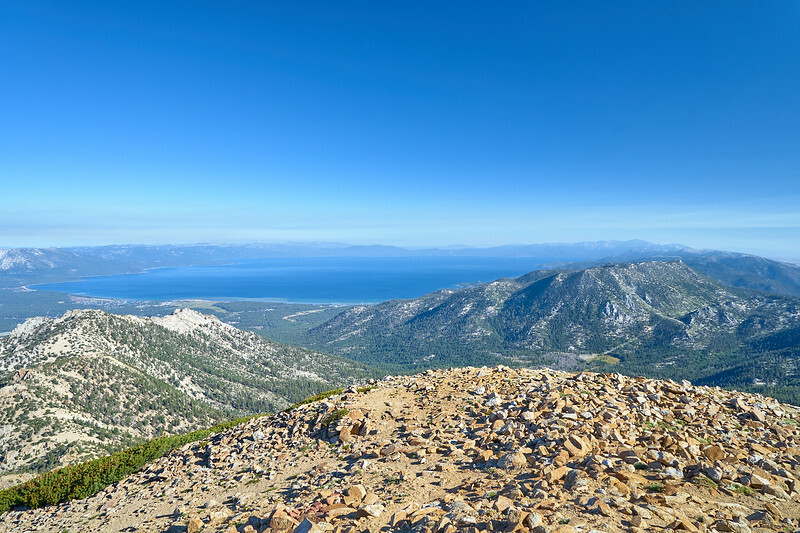 South Lake Tahoe on a hazy morning from Freel Peak. 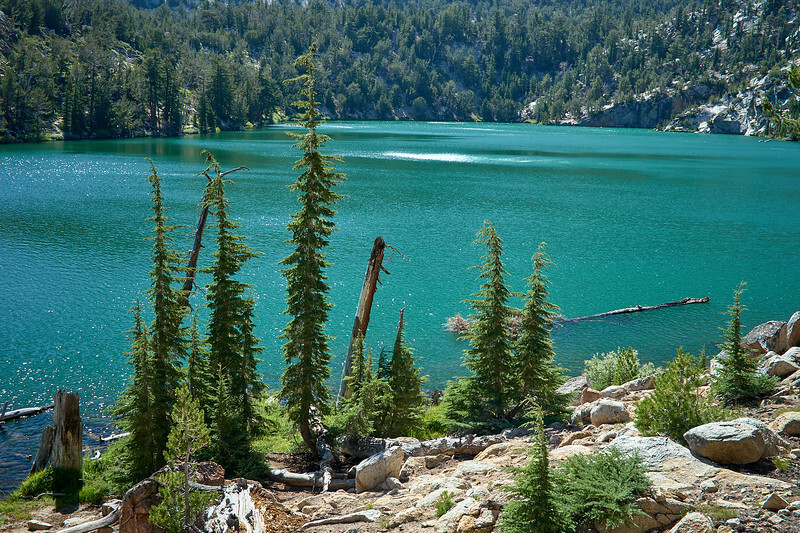 Star Lake from the Tahoe Rim Trail. 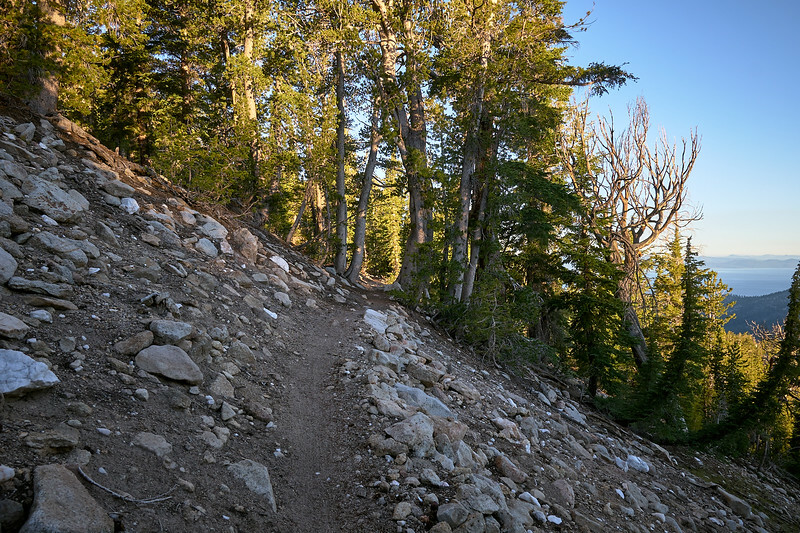 Views of Lake Tahoe from the Star Lake Trail.